Are you into the metallic trend? 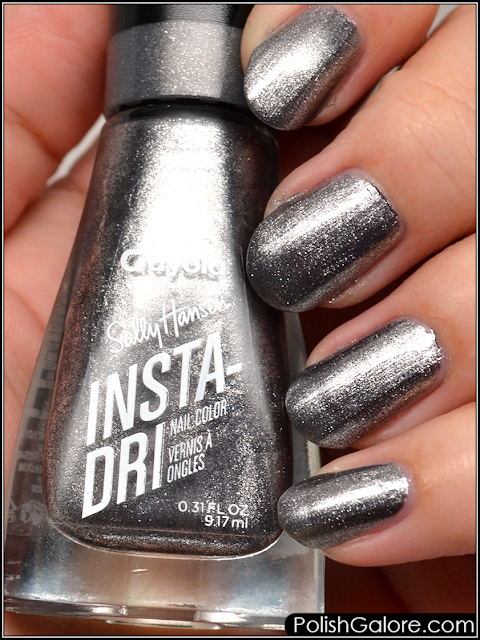 Today's sleek silver is what got me into the metallics love in the first place. 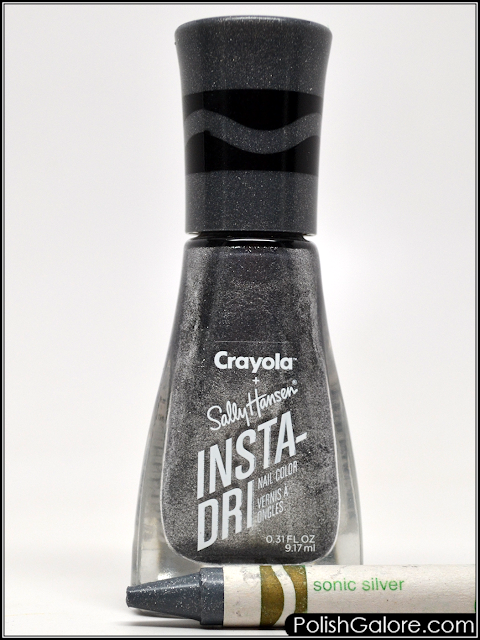 Please enjoy Sonic Silver from the Sally Hansen x Crayola Glam Rock collection. Because of this 3-in-1 formula, I only used 2 thin coats. The formula on this one was a lot more forgiving than the last 2 I used. The only thing I wasn't in love with was the brush strokey nature of this polish. Also I'm over the long nails and I'm ready to chop away.